Lietuvos Rytas Vilnius got back to its winning ways, beating CAI Zaragoza 87-75 and making another step towards a place in the eighthfinals on Tuesday. 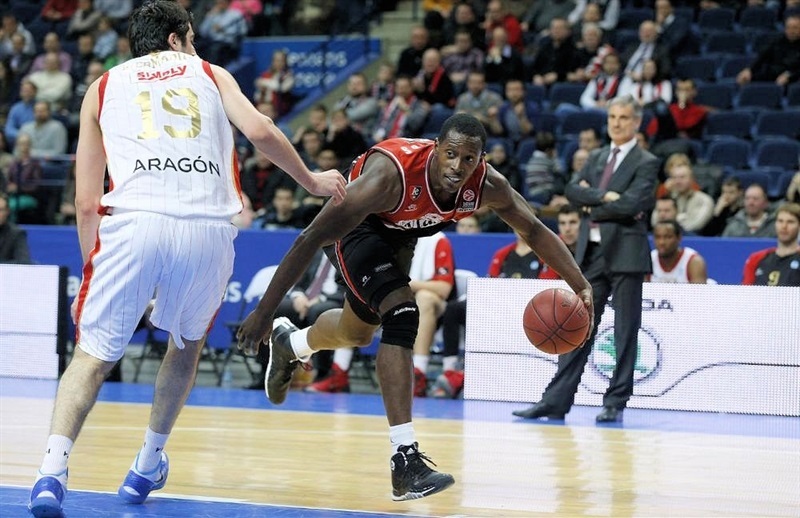 Rytas improved to 2-2, and at least a share of the second place in Group P, while Zaragoza dropped to 1-3. The hosts took the lead for good in the first quarter, and held a double-digit margin late in the second, but did not pull away until the final period. Rytas paved its way to victory behind defense that did not allow a single point for more than 7 minutes to start the fourth quarter. Meanwhile, a 13-0 run put the hosts up 79-62, sealing the deal as Martynas Gecevicius had 22 points, 6 rebounds and 4 assists, and Renaldas Seibutis netted 18 in victory. 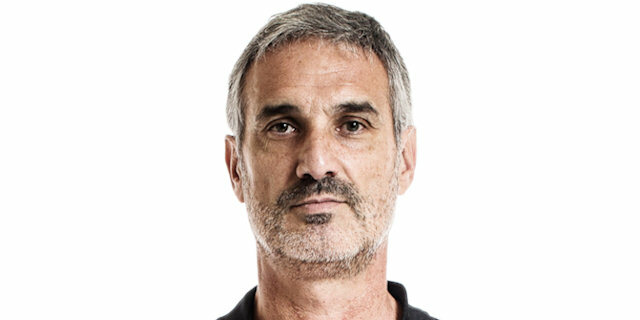 Juan Palacios scored 13, and Darius Songaila added 10 for Rytas, while Henk Norel scored 16 points in 16 minutes for Zaragoza. Jon Stefansson bagged 15, and Damjan Rudez had 11 points and 4 assists in defeat. Teams traded leads in the early going, with Giorgi Shermadini, Viktor Sanikidze and Michael Roll getting the visitors going, while Songaila and Gecevicius each hit a pair of baskets for Rytas. Stefansson’s jumper gave Zaragoza 12-13, but Gecevicius nailed a triple, before Stevan Jelovac and Palacios combined for 8 points and 25-18. Seibutis scored just before the end-of-quarter buzzer, giving Rytas 27-20 after 10 minutes, and Steponas Babrauskas buried a three for 30-22 at the start of the second. After Rudez and Zabian Dowdell traded three-pointers, Shermadini cut it from close range to 33-29. But Seibutis scored on a fast break, and Songaila hit a shot for the hosts, before Tautvydas Lideka and Gecevicius extended it to 43-32. Zaragoza replied with Rudez hitting all 3 free throws, Stefansson followed it with a triple, and Henk Norel had a fastbreak layup and a basket-plus-foul for 44-43. Rytas did take a lead into the halftime thanks to a string of 8 points by Seibutis, including a triple, and the hosts held 52-46 at the break. At the start of the third, Songaila and Gecevicius pushed the margin back to double figures, 60-50. The visitors caught up, with Stefansson and Roll hitting shots, and Jonathan Tabu nailing one from long range and 64-58. Free throws from Norel and Roll cut it to 66-62 at the end of the third, but Zaragoza did not score for more than 7 minutes in the fourth. 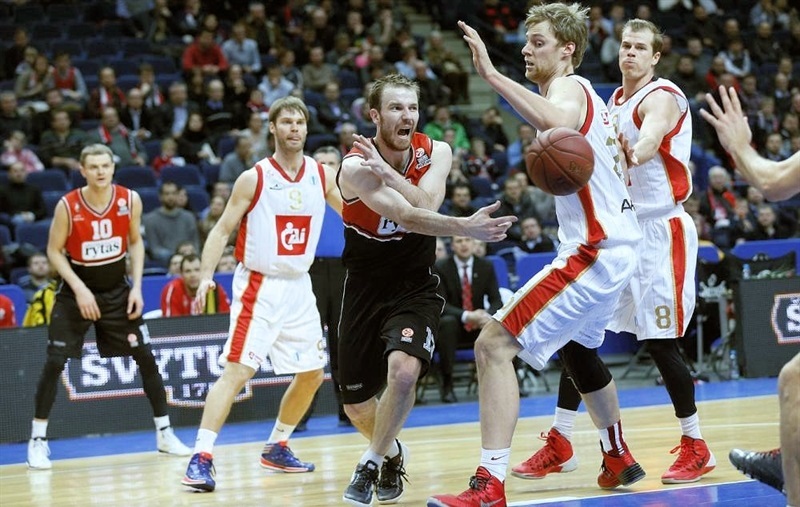 Rytas defense forced tough shots, while on the offense Seibutis, Palacios and Gecevicius scored 13 points for 79-62. Back-to-back three-pointers from Alex Urtasun and Rudez snapped the visitors’ drought, and helped bring them within 79-71, but Gecevicius and Gediminas Orelik hit triples that sealed the deal. "We were hurt seven days ago – they killed us in Zaragoza. So this game was difficult for us not only during 40 minutes. A week ago we lost rebounding, but today we were better in the paint. Today we had energy, played intensive basketball, were prepared for their defense. My technical foul in the second quarter was a big mistake – at that moment we led by 11 and it was the worst moment to receive the technical foul. Now I’m happy that my team withstood. After this win we are in good position in the group." "The game a week ago in Zaragoza was completely different. At home we were able to play fast basketball, but in Vilnius it was impossible. Lietuvos Rytas played good defense against our big guys and we had a lot of problems to pass the ball inside. Seibutis and Gecevicius didn’t score many points in Zaragoza because we defended them well, but today we let many easy shots. 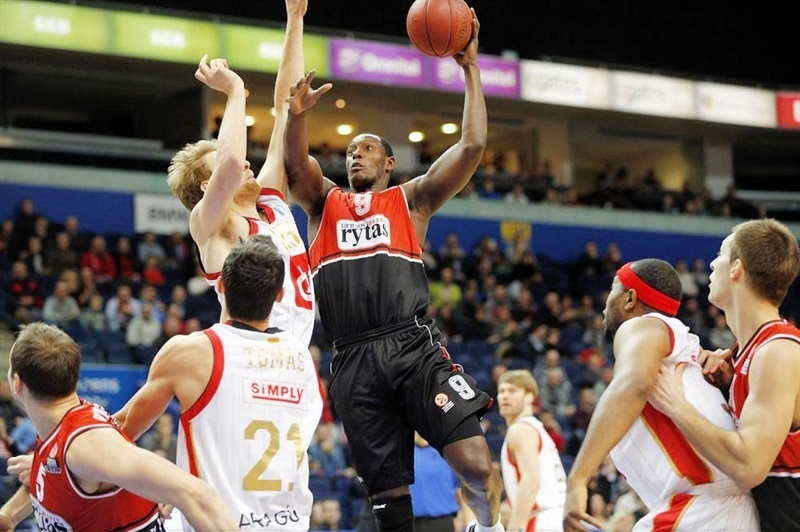 I must say that Lietuvos Rytas controlled the entire game."